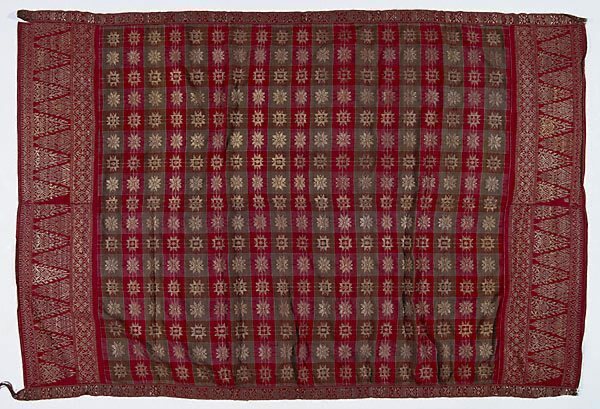 This royal sarong is a sumptuous textile woven in a checked design which gained popularity with the influence of Islam. 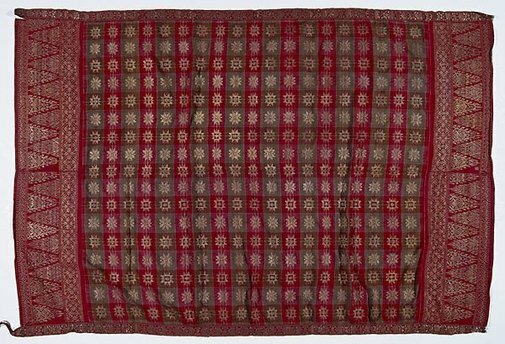 It would have been woven in two long, narrow sections, probably on a body tension loom, which was later stitched together. The design utilises the familiar motif of eight-petal lotus and eight-pointed star, a reference to the directions of space and notions of the cosmos influenced by ideas coming from India.